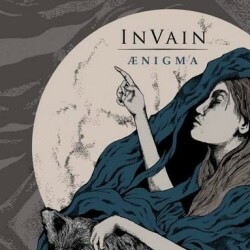 Norway's In Vain will release its third attack of progressive extreme metal, "Aenigma", on March 8 in Norway, March 15 in Germany and Austria and March 11 in the rest of Europe through Indie Recordings. The band's most extreme work to date, it was mixed and produced by the legendary Jens Bogren (Opeth, Soilwork, Borknagar) at Fascination Street in Ã–rebro, Sweden. The cover artwork was designed by Robert HÃ¸yem. A six-minute YouTube clip containing audio samples of all the tracks on the album is available below. According to a press release, "Aenigma" contains "eight songs of In Vain's unique trademark sound and as usual, In Vain has brought some guests along, and 'Aenigma' sees appearances by Lazare and Cornelius from Solefald." Commented In Vain's Johnar HÃ¥land: "We had a solid impression of the productions coming out of the Fascination Street Studio, and believed Jens was the right guy to give the music the crystal clear and powerful sound that it demands. Jens did not cut any corners and delivered a production par excellente." The second in a series of video clips featuring behind-the-scenes footage from the "Aenigma" recording sessions can be seen below. Also available is a stream of the album's new single, "Against The Grain".